Conditioned attics with spray foam insulation are included in every Providence Homes attic. 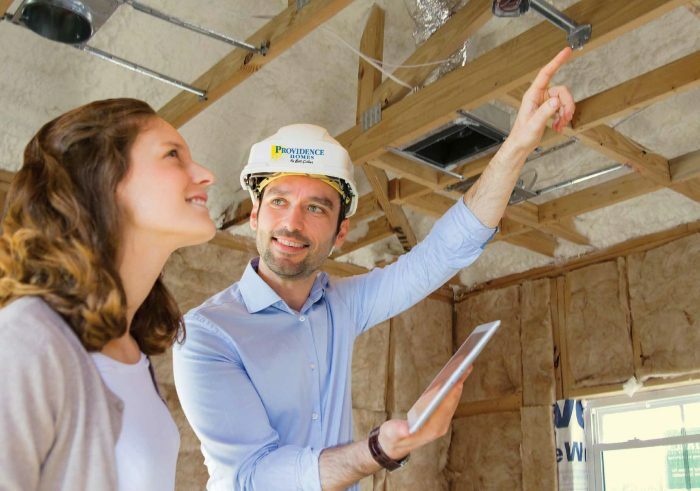 Year after year, our commitment to build ENERGY STAR® Certified Homes ensures we are building quality homes far beyond the minimum level of oversight provided by the local building standards. By integrating proven building science technologies coupled with stringent third-party inspections and testing as required by ENRERGY STAR® we are confident our homes will be cleaner, more efficient, more comfortable and more durable. And because our homes are built to exceed these standards they will be more affordable and sustainable for the life of the home.